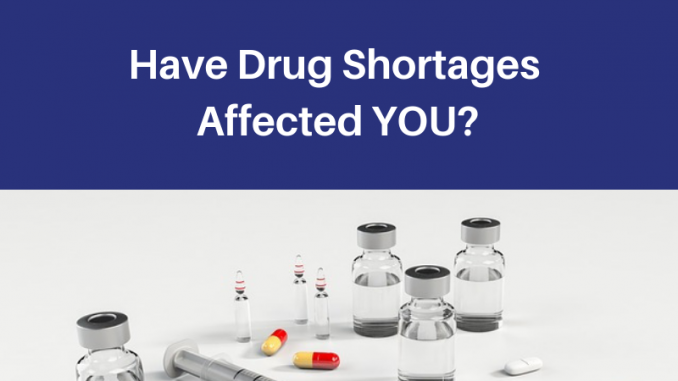 Have Drug Shortages Affected You? I’m doing research on drug shortages, and I want to hear your story about how the lack of a medication(s) has affected you or a loved one. My interest was sparked when the medicine that I infuse every 10 days, was not available at the beginning of the month. Usually, the infusion company sends me out enough to last a month. However, last week they were only able to send one dose. The plant that supplies my treatment needed to shut down for cleaning. They thought that they had enough doses, but demand increased while they were down, resulting in shortages. I was really worried about it being unavailable, because of my previous experiences. The first medication I got was given monthly with an IV. I did fine with it. But the glass IV bottles became unavailable. So I was switched to another IV medication that could be infused in plastic bags. I ended up with a severe allergic reaction to that medicine. Then I was switched to one I could infuse at home. I’ve been doing really well on it, so I really want it to stay in production. 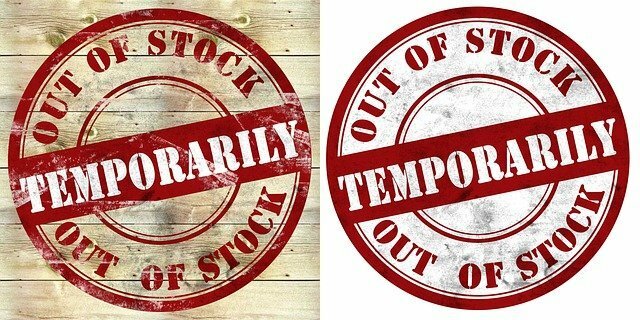 Drug Shortages Are A Public Health Crisis In the U.S.
Last June, 2018, at the Annual Meeting of the American Medical Association (AMA), attendees adopted a policy declaring that “drug shortages are an urgent public health crisis.” According to a list on ASHP* website, there are 207 medications that have a shortage in the U.S currently. Plus, there are also 19 medications that are no longer being produced by any manufacturer in the United States. 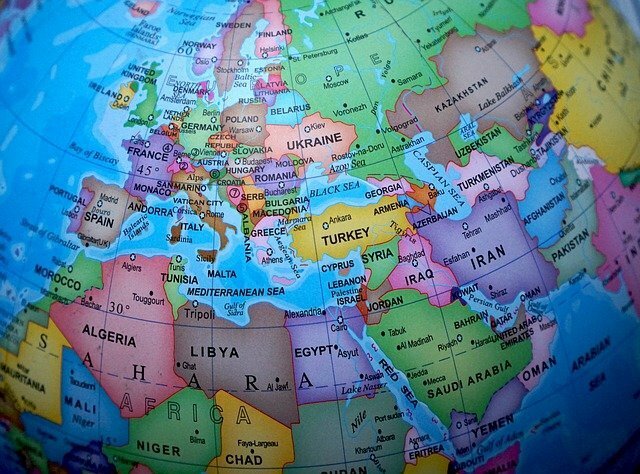 However, the United States isn’t the only place with drug shortages. Canada, Australia, and Europe are also dealing with drug shortages. The Canadian list has 1,720 shortage medicines plus 1,209 that are no longer being made by anyone! The Australian list has 408 current drugs on its shortage list, and 113 that are no longer being produced. “The European Union is stepping up its efforts to sort out the chronic problem of drug shortages, which has now been a priority for the EU’s medicines agencies for several years.” This quote is from an article called “Curbing Drug Shortages in Europe” dated October, 2018. I was unable to find a listing of what medicines aren’t available there. Many of the articles I read talked about potential health consequences. I found only 1 survey done in 2013. They asked 1,516 pharmacy directors about treatment delays, and problems that resulted from the shortages. If problems are happening, few people are talking in public about how frequent, and severe the issue is. Thankfully, the shortage of my medicine appears to be easing. However, I can’t help wonder how many of you have been affected by a drug shortage? Has the lack of your medication caused you to have to use something else? Have you had to delay starting treatment, because the medication wasn’t available? Have you suffered with more health issues, because you had to use a different medicine than the one the doctor ordered? Share your stories, because it’s important to put faces to the drug shortage crisis. Get email notification of new posts plus subscriber-only access to my Resource Library, by filling in your email address below. New Year’s Resolutions, Yes or No? We are having problems here in the UK, because of Brexit. Pharmaceuticals are storing meds. It’s pretty concerning. That’s unfortunate! I wish there was some way to remove profit from manufacturing drugs. Apparently, concern for the bottom line outweighs patients well being. I’m sorry to hear that. I’m holding on to my Epi-pen, because they are so expensive and hard to get these days. I hope you have an alternative that is helping you.